American Academy of Sanitarians, Inc. The American Academy of Sanitarians (AAS) is an organization that elevates the standards, improves the practice, advances the professional proficiency and promotes the highest levels of ethical conduct among professional sanitarians in every field of environmental health. The AAS was formed in 1966 to improve the environmental health status of individuals through certification of those professionally credentialled environmental health practitioners and other environmental health professionals who, in an outstanding manner, have helped or are helping to achieve this long range goal. The Academy membership covers the breadth of environmental health. Certification by the Academy is open to persons who have attained high professional stature through leadership and accomplishment in the field of environmental health and meet the criteria for selection as a Diplomate. Since its inception, over 580 professional sanitarians have been awarded Diplomate status in the Academy. Eight diplomates have also qualified for certification as Diplomate Laureates. 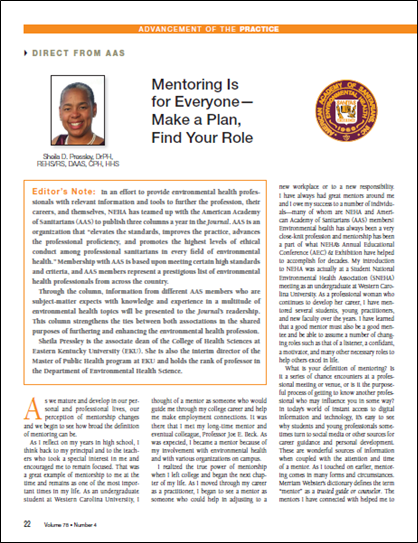 AAS columns from the Journal of Environmental Health are now available! 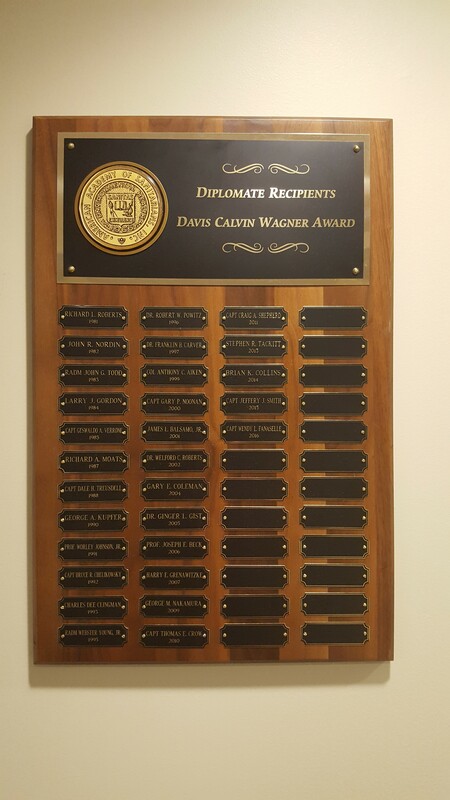 The Davis Calvin Wagner Sanitarian Award represents the highest honor the American Academy of Sanitarians bestows upon a Diplomate. The Award is conferred for exceptional leadership ability, professional commitment, outstanding resourcefulness, dedication and accomplishments in advancing the Sanitarian profession and public health programs. The recipient is presented with a plaque and an honorarium. Award nominations are due each year by April 15th. View the 2018 AEC flyer for updates on AAS activities and events that occurred at this year's NEHA Annual Educational Conference (AEC). Learn about the early history of the Indian Health Service (1955-1990) as described by its first five directors in a video moderated by RADM John G.Todd, DrPH, USPHS (Ret. ).